Iran’s flag-carrier airline Iran Air is set to recruit female pilots for the first time in the country’s history. Farzaneh Sharafbafi, the female CEO of Iran Air (Homa), said the airline annually publishes a job vacancy advertisement to recruit new pilots. The main feature of this year’s advertisement is the possibility for female pilots to apply, she added. “This is highly significant for us to have female pilots among our personnel,” she was quoted as saying in a Farsi report by the Iranian Government’s website. 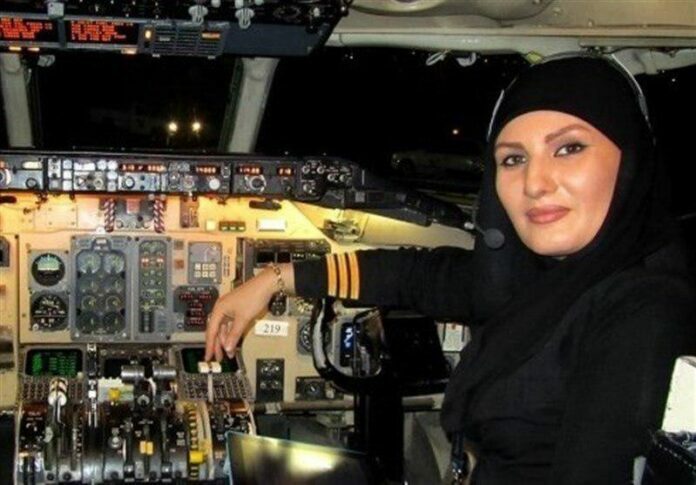 She went on to say that the number of female pilots in Iran is considerably high and added Iran Air will recruit new pilots including women within its administrative procedures. According to the CEO of Iran Air, 16 percent of the women working for Homa are among the middle-ranking officials. Sharbafi said one of the main criteria to measure a country’s development is the significance that it attaches to women. “Today, the world is paying more serious attention to the role of women in the society. Women can play a key role in the social development as well as the realization of social justice in a society,” she concluded.